"It's not just a holiday, it's an adventure..."
The Anambas Archipelago is a scattered Indonesian territory in the South China Sea. 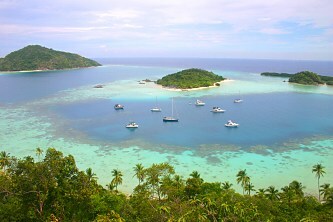 Sandwiched between Peninsular Malaysia to its west and Borneo to its east, the Anambas area comprises more than 250 islands of varying sizes. 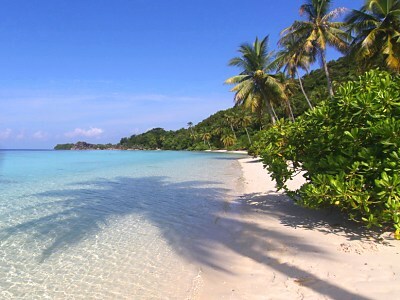 Remote and blessed with stunning landscapes and seascapes, Anambas has been ranked a top five tropical island paradise in Asia by CNN. Whilst the majority of the Anambas population are fishermen or otherwise involved in fishing-related industries, tourism in Anambas has been getting more and more traction recently. Hotels and other accommodation types are beginning to pop up on the main islands, as tourist numbers grow annually. Today, Anambas is at a crossroads; on the one hand, the breathtaking islands are still fairly inaccessible and as yet mostly undiscovered. On the other hand, the territory offers amazing potential and, clearly, is poised to become a major international tourist draw, not least because of the forward-looking Anambas government. The local Tourism Department, in particular, is acutely aware of the importance of connectivity and has, in fact, set off various infrastructure developments, including roads, bridges and a commercial airport. If ever there was a time to experience Anambas, now is it. If you've been thinking of exploring some of Anambas' dazzling natural wonders, let this website inspire you. Bonus read: The Anambas Archipelago in a nutshell.